I have now reached the last stage in the preparation of my novel for publication. This week I have finally approved the cover spread; that’s the front and back cover and the spine. 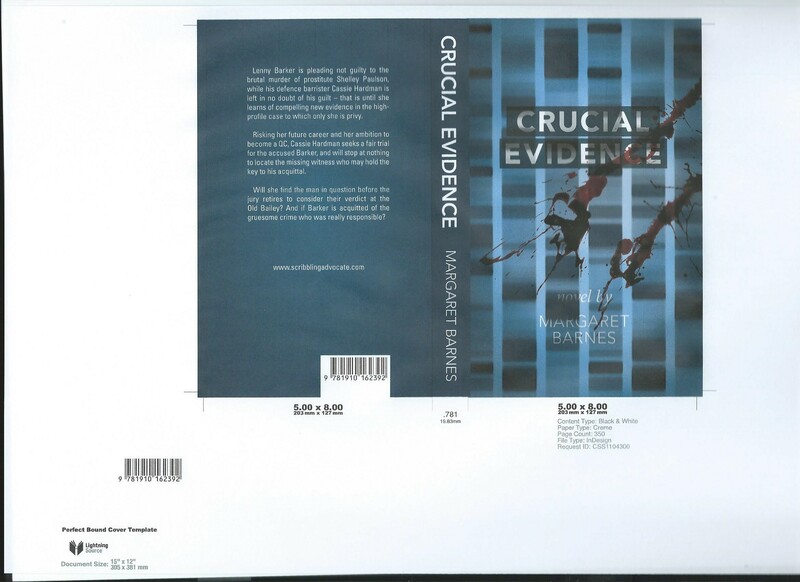 I say finally because initially not only was the word crucial misspelt on the spine, but the designer was working on the basis that the novel was 250 pages whilst my printer’s proof was 350. I was puzzled by that, as I had assumed the proof was what it said it was and the novel would look like the copy I had. I realised as well, that if the width of the spine had been calculated on 250 pages rather than 350, then it wasn’t big enough. After a flurry of emails the cover designer acknowledged he had got the page count wrong and the width of the spine enlarged. The next stage will be a copy of the book for me to approve before it is officially published. I’m hoping to have a launch party in London sometime in February.